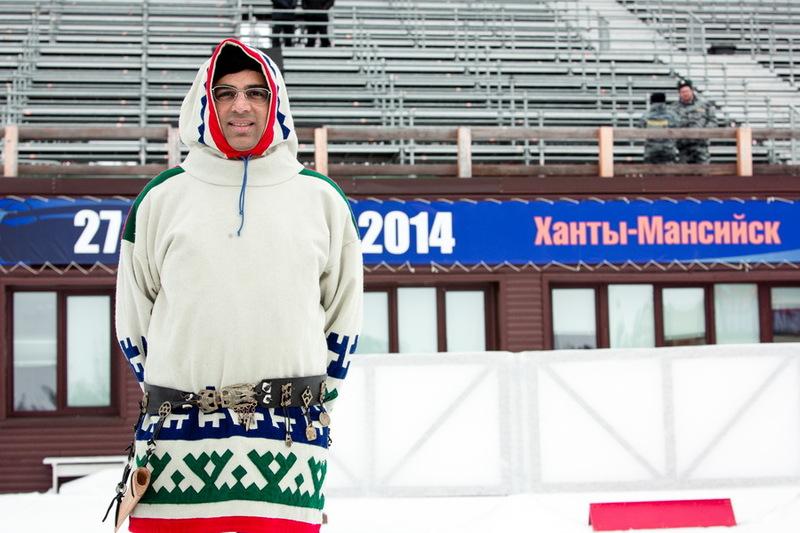 Today the winner of the candidates tournament Vishy Anand fit Khanty traditional dress, raced a deer, and tried rifle shooting. 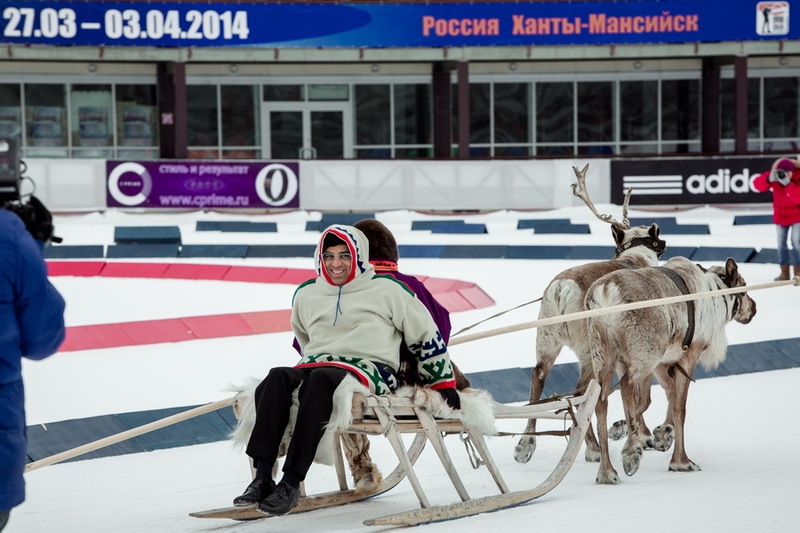 It is an old Khanty-Mansiysk tradition – all tournament winners are invited for deer racing across the local Winter Sports Center. Vishy liked the idea, he have never seen a reindeer before. 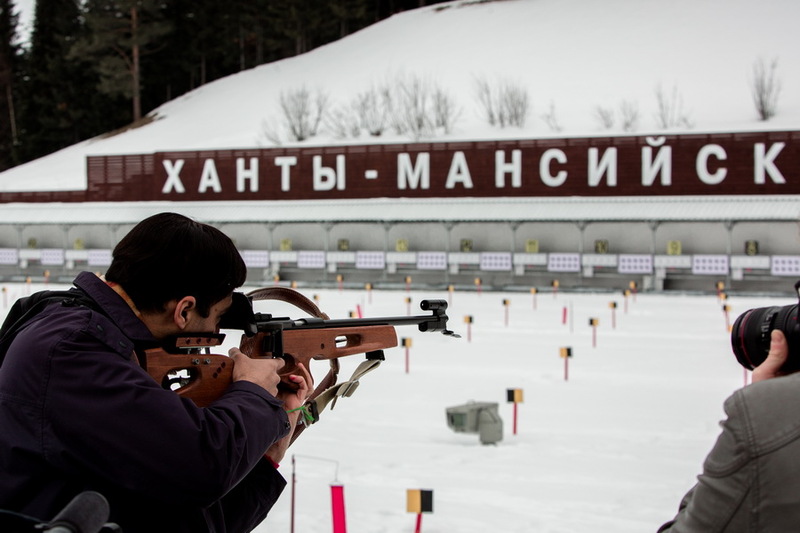 He made a few laps on the stadium (which currently hosts the Russian biathlon championship) together with journalists and FIDE officials, who also enjoyed racing a lot. Then Vishy tried being a biathlete. He did both prone and standing shooting, and did very well, so the journalists jokingly suggested the Indian grandmaster to switch his sport.